It is easy to get into a rut during Holy Week. While the music, pageants, processions, and lessons can easily feel the same consider where you are standing. As we enter into Holy week, we should enter into the story. We should imagine ourselves watching and cheering as Jesus passes. But we shouldn’t just watch. We should go with him. We should join in the procession ourselves. We must follow along after Him and continue to shout and sing in the praises of our Messiah. As Christians, we are not to remain spectators cheering from the sidelines. We are to fall in line. We are to join the procession. We are to become part of the parade itself. We are to follow Jesus, marching with him, moving wherever God’s voice is calling us to go. Precious God, allow us to see Palm Sunday and Easter with new eyes. Help us to see Jesus and follow after Him with our entire heart. Amen. I met a soldier last week. He just moved to Kansas after a three-year tour in Germany; Wiesbaden, to be specific. My mind immediately filled with questions to ask about his time in Germany. You know, the typical questions that we all ask. What did you like about the town, the people, the food, the sights, and the weather? After a little thought, I asked my first question. His response was a telling reality that often goes untold. I admired the sacrifice that he made. His three-year assignment yielded two years in a combat zone and one year with his wife and kids. He had surrendered something valuable so that others could benefit. He endured hardship so that others could find comfort and peace. He was willing to die so that others could live. It is inspiring when a soldier is willing to sacrifice for his countrymen; it is overwhelming when we consider the deep love of Christ. Jesus willingly went to the cross, suffered incredible pain, and died for our benefit. He bled and died so that all of mankind could live. Christ did not see us as a lost cause. He saw us as individuals worth dying for and became our sacrifice. May we continue to see the perfect love that sent our Savior to the cross on our behalf. Is Palm Sunday relevant today? Many Christians view Palm Sunday as a quick time out before the clock expires on Lent. Some see it as the start of Holy Week. Others see it as a day that Sunday school children will dress up and lay green palm fronds on an altar prior to the worship service. And some will see Jesus as a faithful and suffering servant, making his journey to the cross. The answer will ultimately depend on how you view Jesus. Palm Sunday is all about the final journey of Jesus to Jerusalem. He enters with the reception of a hero. 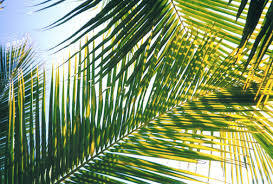 Palm branches are cut from the trees so that people can wave them and lay them at the feet of Jesus. The crowds shout with joy and excitement as he arrives. Some hope for a military solution to their suffering and see Jesus as the right leader for a rebellion. Some want a new government established where better leadership can be found. Some desire an economic solution where wealth and riches will fix the needs of their nation. And a portion of the crowd just desires deliverance through the Promised One of God, the Messiah. They desire redemption, restoration, and salvation. A Savior who will wipe away their tears and forgive their sins. By the end of the week, many in the crowd will be disappointed. They did not find the expected fix. The crowd did not find the general, politician, or ruler they had desired. Only a small portion of the crowd will follow Jesus to the end of the week and they too will ultimately leave his side. But later, they will see an empty tomb and realize the truth. God so loved the world, that He gave His only Son, and whoever believes in Him will have eternal life. Palm Sunday is relevant because of the cross. As Jesus moves closer and closer to His own crucifixion, it demonstrates the magnitude of His love for us. That is the reason we sing on Palm Sunday. We sing to celebrate Jesus, the Lamb of God. We celebrate the One who journeys into Jerusalem, knowing that it will take Him to a cross, but that it will take away the sins of the world. We are in the final week of Lent. Palm Sunday is just around the corner. This time of fasting, abstaining, moderation, and discipline was set aside for preparation. Preparation for Holy Week. Preparation for a journey to the cross. Preparation that leads to an empty tomb. Lent is truly about preparation. We use fasting, sacrifice, and abstaining from foods as a ritual, but we are preparing ourselves to encounter Christ. This journey often changes us. It makes us reflect on our faith and our daily walk with Jesus. Spiritual reflection is difficult because it demands honesty and complete self-examination. Using a mirror to examine my journey with Jesus is a scary prospect. It forces me to see a total picture of my faith, warts and all. I have to admit that there were days when skipping my daily spiritual practice would have been easy. It took time to find a sustaining routine and pace. As the days went on, I found a greater desire to see it through. It made me grow. It held my attitude in check. It allowed me to apply my faith at work. In short, it made me a better Christian. I am a better disciple and follower because of my Lenten practice. When we make time for Jesus, the time is never lost. Let us continue to reflect on Jesus. As Palm Sunday arrives, let us reflect on the arrival of our promised Messiah. As Holy Thursday arrives, let us reflect on how he washed the feet of his disciples, instituted the Lord’s Supper, and prayed on the Mount of Olives. As Good Friday arrives, let us reflect on how he suffered for our sins, died as the atoning sacrifice for all humanity, and was buried. And as darkness gives way to daybreak, let us reflect on an empty tomb and the resurrection of our Savior, Jesus the Christ. Continue your practice. Continue to prepare for our Savior. Continue your celebration of Easter by focusing on the life, suffering, sacrifice, death, burial, and resurrection of Jesus Christ the Risen Lord! 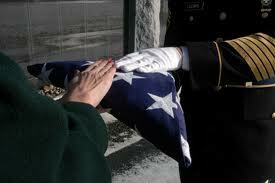 Military funerals are difficult. The age of the veteran doesn’t really matter. Each time family members gather to mourn the loss of a loved one there is incredible sorrow. Battle buddies, friends, and military leaders show up to share stories and give comfort. At the conclusion, rifles fire, taps play, Soldiers salute, and a family member receives a flag to remember the sacrifice and devotion of the departed veteran. These military customs and ceremonies honor the life and service of people in the armed forces, but they can also remind us of a difficult loss. For many who attend a military funeral, death seems cruel, harsh, and final. That is how the disciples felt when they saw Jesus hanging on the cross. They were devastated. Death crushed them. There was nothing left for them. The last three years of following Jesus seemed to be for nothing. They huddled together in darkness, but then came the morning. An empty tomb was discovered. The rock had been rolled away. Even the death shroud and linen wrappings were laying perfectly in place. Something miraculous had happened – Jesus was no longer there. He had risen from the grave! Jesus not only is life, but conveys life to the believer so that death will never triumph over him or her. What once seemed final and devastating is now transformed into new life. Death is no longer the end. Death should instead be viewed as the gateway to our heavenly home. Since Jesus rose on the third day, we have the promise of life beyond the grave. The promise of eternal life through Jesus, the Son of God. If you are hurting and suffering from a recent loss, allow the words of Jesus to strengthen and comfort you. A cemetery is where we remember lives lost, but it is not our final home. For those who have put their faith in Christ, Easter means that we will live in the presence of God forever.